Amazon Leaffish (Monocirrhus polyacanthus) | Better Know a Fish! Another fabulous fish species I got to see up close at the California Academy of Sciences during my visit last Thursday was the Amazon leaffish (Monocirrhus polyacanthus). 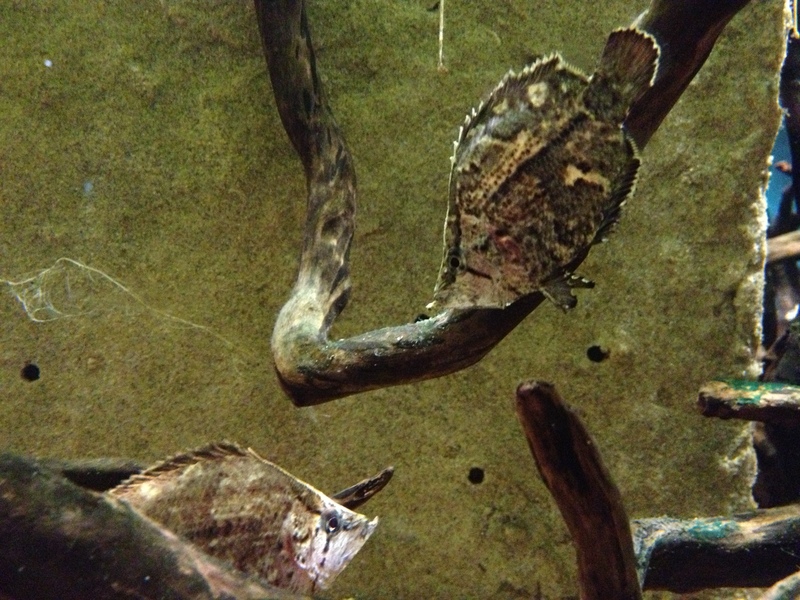 Measuring only around 3 inches (8 cm), this small freshwater fish is a native of the Amazon River basin in South America. It is called the “leaffish” because of its ability to imitate a dead leaf drifting in the water. From its coloration down to its curious habit of floating sideways — using its camouflage and its thin, flat body to sneak up on unsuspecting prey, usually a small fish or shrimp (Catarino and Zuanon 2010). Once its little transparent pectoral fins maneuver the leaffish into position, its highly extendable, quick-draw jaws do the rest. The leaffish is a staple of nature documentaries when they have to do a “weird and strange fish” list episode. So let’s jump to the videos! 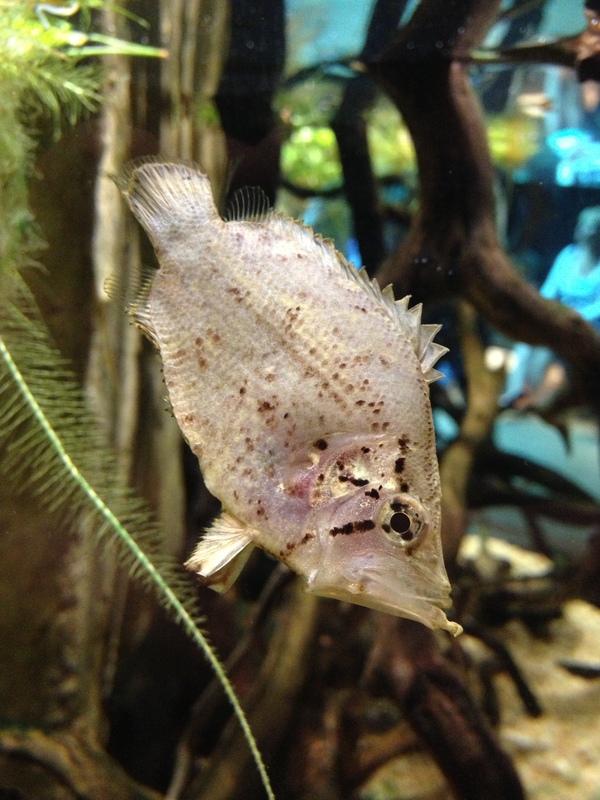 And look — a video from the California Academy of Sciences on leaffish! Here, the Steinhart Aquarium staff are feeding their leaffish collection with what appears to be about a bajillion little brine shrimp. This entry was posted in Actinopterygii, Freshwater Fish, Perciformes, Random Fish Videos Set to Crazy Soundtracks and tagged Amazon leaffish, aquarium fish, California Academy of Sciences, leaf fish, Monocirrhus, Monocirrhus polyacanthus, Perciformes, Polycentridae, South America. Bookmark the permalink.